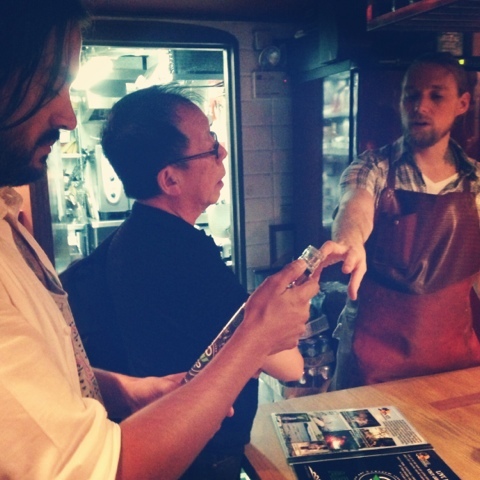 The first talk in the Cafe D Series at Duddell's hosted by JJ Acuna aka The Wanderlister. On the panel were Roger Ouk of Thyvane (his line just had it's official launch this week! 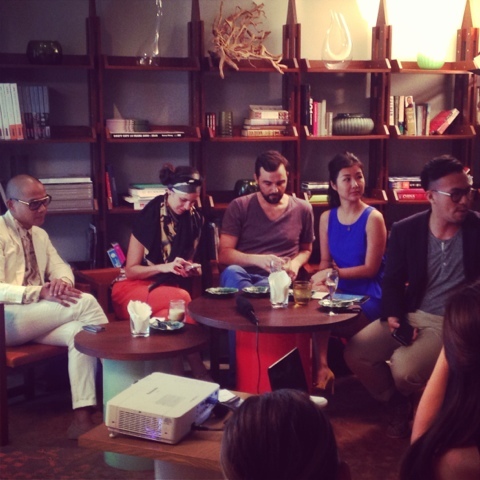 ), Paola and Ignacio of Tangram and Michelle Lai of Mischa. 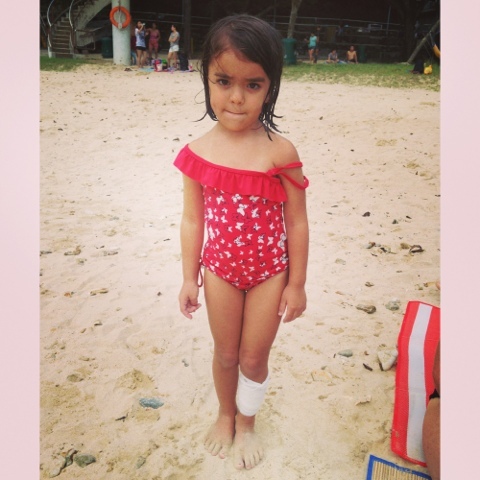 Cally has a run in with a rock at Turtle Cove, but is luckily bandaged all up by the not terribly busy lifeguards. Dinner with my Uncle Tony and absinthe discussions with Chef Austin Fry at Salon No. 10. 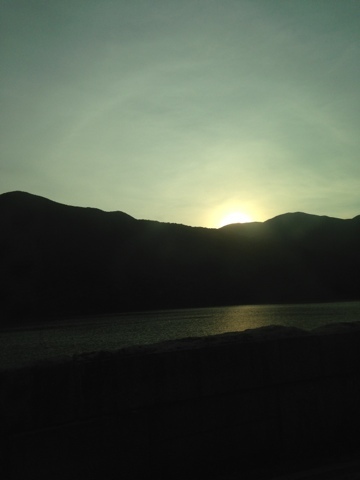 Sunset over the Tai Tam Reservoir bridge. 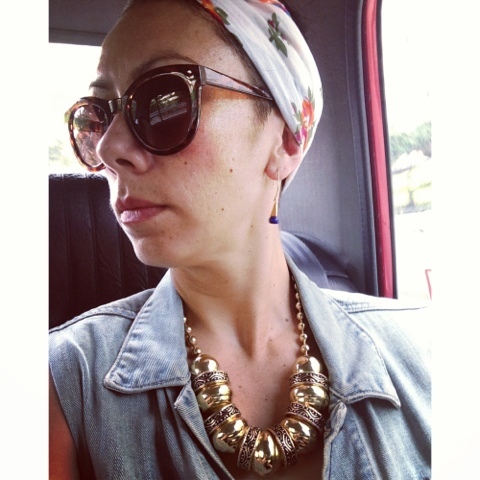 Taxi cab #ootd pics are a bit challenging given the constant stop and start motion. 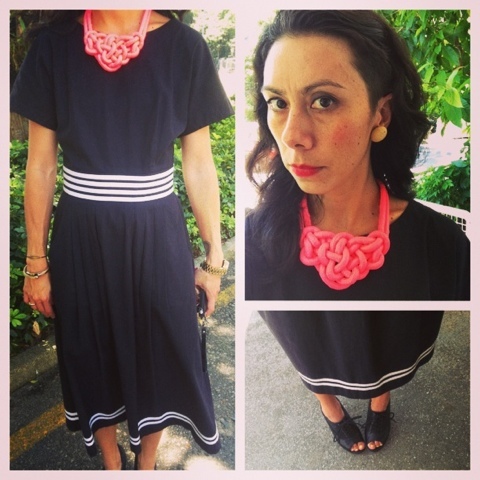 Hot pink rope necklace (which I shared with my wombie colleagues for picture day). 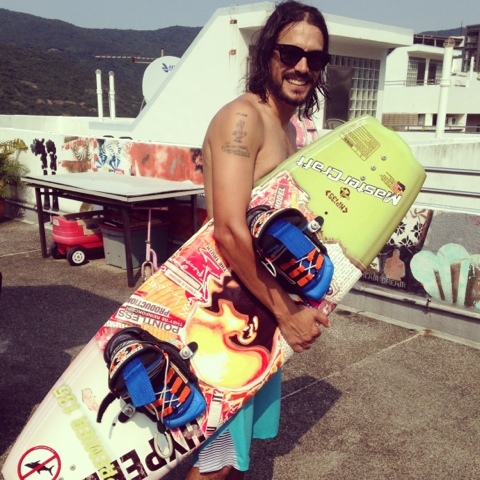 The hubby digs out the wakeboard and look at that smile.